In Memory of Fred Johansen Sept. 23, 1931 Jan. 8, 2017 Memorial Mass Friday, January 13, 2017, 1:30 p.m. Cathedral of Christ the King 2699 Peachtree Road NE, Atlanta, GA 30305. Fred insisted he wanted no more than one inch of space in the newspaper for his obituary. A life so extraordinary might need a bit more room. Frederick Alexander was born in Houston, Texas, to Charles and Ollivetti Johansen, joining siblings Charlie and Katherine. He graduated from Marist School in Atlanta, Georgia in 1949 and continued his education at Georgia Tech, graduating with an engineering degree in 1953. Fred met his "Barbara-Dahlin'" in the winter of 1956, and they married at the Cathedral of Christ the King in Atlanta in April of 1957. 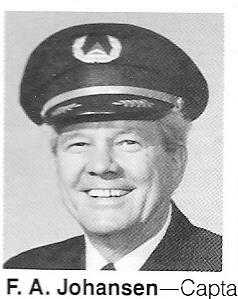 After serving in the Air Force as a pilot, he joined Delta Air Lines in November 1958. Fred loved his job. He retired as Captain of the L-1011 in 1991 after 33 years of stellar service. Whether traveling by airplane or Harley-Davidson, motorboat or dog sled, Fred was equally enthusiastic about the journey as he was the destination. He embraced adventure and new opportunities, and was in constant awe of our amazing planet. He loved people and engaged in conversation with family and strangers alike. Fred loved his Heal Over on Lake Burton, a cabin enjoyed for 54 years by four generations of Johansens, the family dachshund Caesar Augustus of Burton, and relatives and friends abundant. 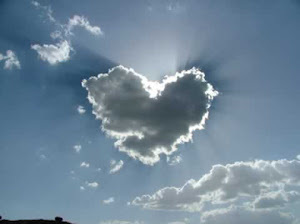 His capable and creative hands were always at work at Heal Over, designing and building, repairing and loving. Fred was a constant and faithful servant to his God and his Church. He loved his Cathedral of Christ the King, where he was an active parishioner for all of his adult life. He also celebrated his time at St. Helena Catholic Church in Rabun County, Georgia, during the summer months. Fred adored his family. He is survived by his treasured Barbara, his children Janice, Alec, Laura, Kristen, and Emily, their spouses Ron Spieker, Joel Jeffcoat, George Kilguss, and Ken Pecoraro, and his grandchildren Martha and Patrick, Clayton and Hattie, Gieva, George, and Michaela, Ryan, Matthew and Henry. Thank you, Daddy, for dancing with Mama in the kitchen, for teaching five teenagers how to drive, for appreciating a good chili dog and frosted orange at the Varsity, and for your positive attitude and graceful humility in your last days. You celebrated life every day. You will forever be celebrated! "The most exciting time of my life was you all," Fred Johansen, December 20, 2016. Ditto, Podnah. In lieu of flowers, donations may be made to: The Catholic Foundation of North Georgia, The Gunning Johansen Endowment Fund, 780 Johnson Ferry Road, #750, Atlanta, GA 30342 Or Cathedral of Christ the King, See address above. Arrangements entrusted to Cremation Society of Georgia, 404-355-7627. 2765 Peachtree Rd NE #3, Atlanta, GA 30305-2940....(404) 233-3976. Departed on Jan. 8, 2017 and resided in Atlanta, GA.